Heroes. We all need them, we all love them — and the message of new books by a bestselling thriller writer is that each of us can be a hero. 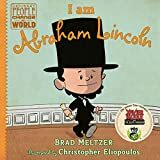 Brad Meltzer is already author of the books “Heroes For My Son” and “Heroes For My Daughter,” but those books are aimed at parents, adults. His two newest books are the first in a series of books for kids. 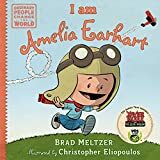 “I am Abraham Lincoln” and “I am Amelia Earhart” are Meltzer’s foray into children’s books, a genre he’d always longed to be in. And his enthusiasm for these stories is infectious. It sounds so simple. Just say, “I’m sorry.” Right? Not necessarily. Sometimes a proper, sincere apology can be more complicated, more nuanced. So, let me ask again: do you know how to apologize? Lauren Bloom is an attorney, an expert on professional ethics, and an ordained interfaith minister. She knows something about apologies, from a moral standpoint, an ethical standpoint, and from a legal standpoint. A young woman of privilege and a young woman born into slavery are inextricably linked, as each tries to find the voice she feels she has been denied, in Sue Monk Kidd‘s new novel “The Invention of Wings.” And it’s based on the lives of two actual women. Sarah Grimke is the daughter of a wealthy South Carolina plantation owner. On her eleventh birthday her gift from her parents is a ten-year-old slave girl named Hetty. Appalled by the notion of owning another human, Sarah is set on a path of activism that will isolate her from family, friends, and antebellum society. Hetty faces ongoing challenges that are brutally life-threatening. And ultimately the two women’s lives are transformed.